Holi is the festival of colours and has its own religious significance. But just imagine what could be better if you can combine religion and fun together. A perfect combination it will be. Bangalore is a city where you will find people from all the states of India working. It is truly a cosmopolitan city and has its own charm. People coming from different parts of the country bring their cultures and traditions along with them. The cultural cocktail of Bangalore is just awesome. Here is the list where you will find the different traditions and cultures in different states of India. The first thing that comes to my mind from the name of Punjab is free folks who know how to live their life large. This larger than life philosophy is what makes fun-loving and hard working at the same time. 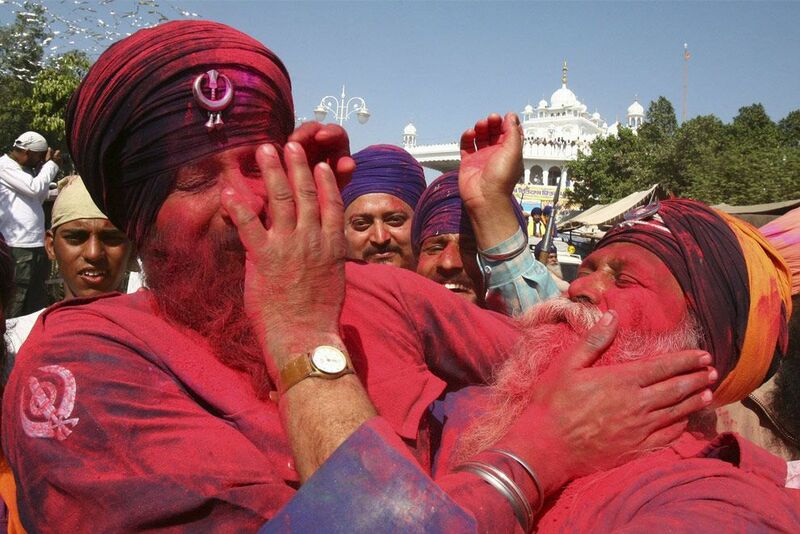 In Punjab, Holi is also celebrated with the name Hola Mohalla which means warrior Holi. They exhibit their fantastic martial arts skills. The nights are more of a social gathering where people celebrate the festival of colours together. If you are a Punjabi, away from Punjab living in Bangalore, Raftaar is coming to make your Holi celebrations desi and make you feel at home. Odisha is a coastal state in eastern part of India. Known for its centuries-old history and culture it is one of the richest states in terms of traditions and cultures. Holi is also observed in Odisha as Dola Jatra, where Oriya calendar becomes ready and is offered to the deity Jagannath (incarnation of Lord Vishnu). 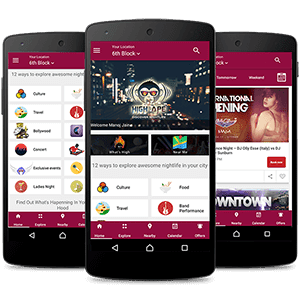 The Neo generation Odias are cool and love parties and nightlife. What could be better if Sona Mohapatra is coming to make you groove in her song Rangabati and other rocking tracks? Think twice, if you are an Odia can you afford to miss this? Tamil Nadu located at the southern tip of India is a state known for its beautiful beaches, beautiful hill stations like Ooty in the Nilgiris is the perfect fusion of nature’s love. So are the people of Tamil Nadu. In Tamil Nadu, Holi is also celebrated as the festival of love as Kama Deva was restored back from death on this day. If you are a Tamil living in Bangalore, there is an amazing Holi celebration that you cannot miss. DJ Hassan’s fusion of electronic and south Indian bass will make you thump your foot and make your Holi the way you celebrate at home. West Bengal located in eastern part of India is a state that has a rich cultural heritage. Bongs are fun-loving and take pride in their culture. In West, Bengal Holi is also called Basant Utsav. Bolpur in West Bengal has the best Holi celebrations and the students at Shanti Niketan wear yellow saris, play with gulal (dry colours) and sing traditional songs. If you are a Bengali living in Bangalore and missing home badly, I would suggest celebrating Holi by bringing your friends to the Holi parties in Bangalore. UP is a large state that has cultural variations within itself. Mathura is the birthplace of Lord Krishna. There is a week-long celebration at the Banke Bihari temple and Dwarkadheesh temple. Apart from the religious significance, there is also fun element attached to the festival of Holi. Usually, in the evening people visit their friends and celebrate Holi. In Bangalore, you can do the same. 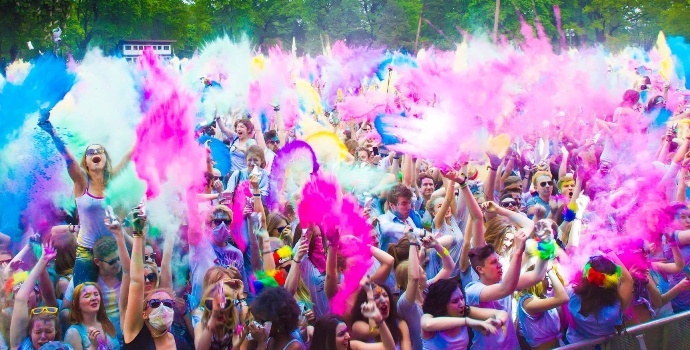 Bring your friends to Holi parties and don’t miss the fun.